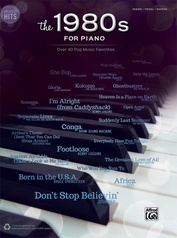 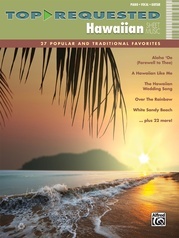 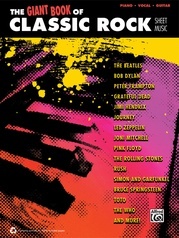 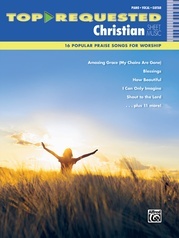 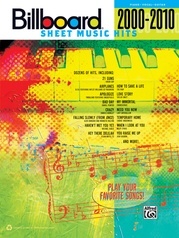 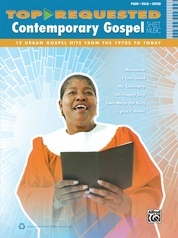 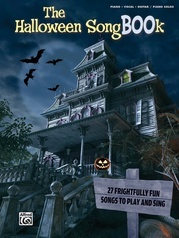 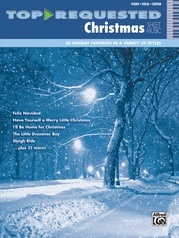 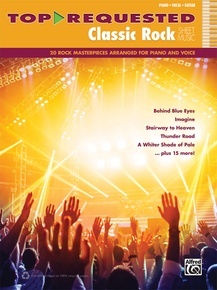 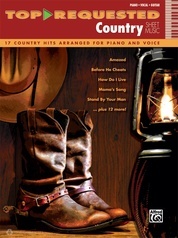 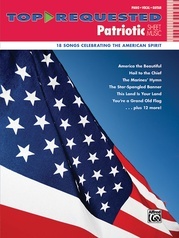 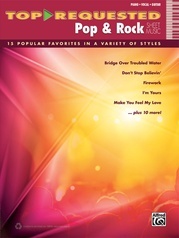 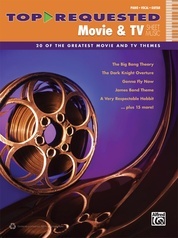 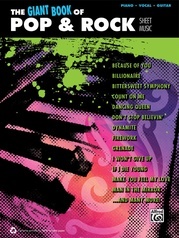 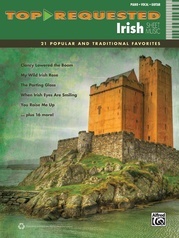 Classic rock fans who play piano or sing will love these songbooks! The piano arrangements closely follow what's played on each song's iconic original recording, giving the pianist an authentic experience while providing a true accompaniment to anyone singing along. 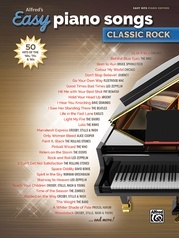 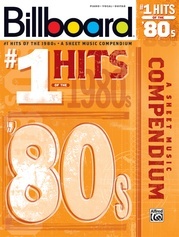 Classic rock's biggest names are represented in this collection by their songs that everyone knows and loves. 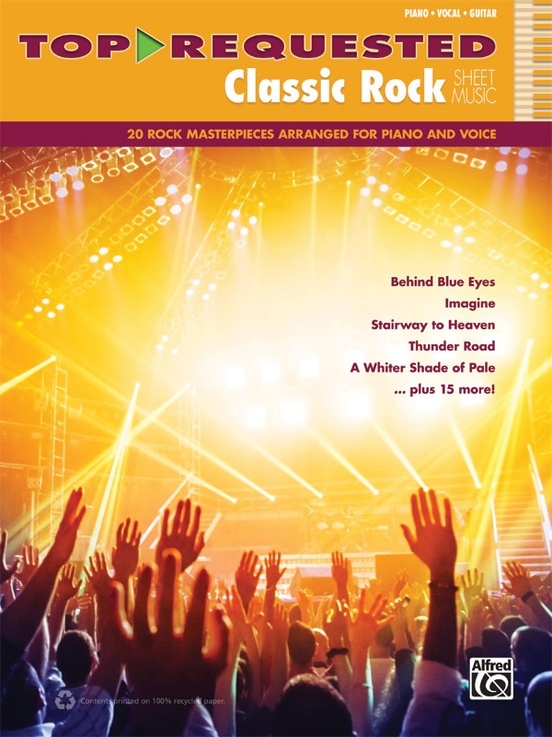 Basic guitar chord grids are included for optional guitar accompaniment. 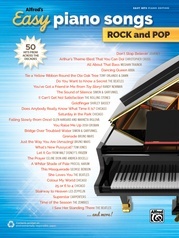 Titles: All My Love (Led Zeppelin) * Behind Blue Eyes (The Who) * Big Yellow Taxi (Joni Mitchell) * Bridge Over Troubled Water (Simon and Garfunkel) * Don't Stop Believin' (Journey) * Faithfully (Journey) * I Saw Her Standing There (The Beatles) * Imagine (John Lennon) * Live and Let Die (Paul McCartney) * Money (Pink Floyd) * Pinball Wizard (The Who) * Play That Funky Music (Wild Cherry) * Saturday in the Park (Chicago) * Space Oddity (David Bowie) * St. Stephen (Grateful Dead) * Stairway to Heaven (Led Zeppelin) * Thunder Road (Bruce Springsteen) * Tom Sawyer (Rush) * A Whiter Shade of Pale (Procol Harum) * You Can't Always Get What You Want (The Rolling Stones).